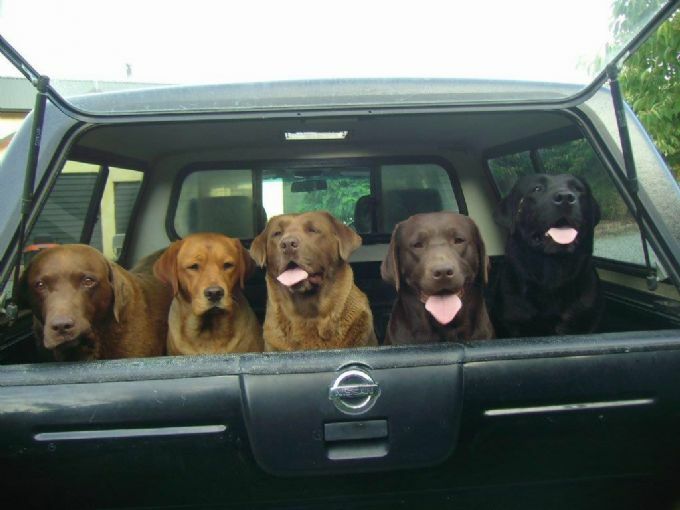 Welcome to Carrickview Labradors, based in Central Otago. Welcome to Carrickview Kennels. I am a breeder of Labradors based in Cromwell, Central Otago. My puppies are welcomed into homes all around New Zealand. They make wonderful family pets, faithful companions and great duck dogs. I expect to be having another litter of puppies soon. I have been breeding Labradors since 2000 and I like my pups to go to kind, fully fenced family homes. My puppies are sold as pets. That is, they are not to be bred from. All of my puppies are NZKC registered, have had their first vaccination, their parents have been DNA tested and Hip and Elbow X-rayed and scored. Also annual eye checks carried out. A strict criteria is required to be registered with the NZKC. Further vaccinations, micro chipping and council registration are the responsibility of the new owner. They leave home with six weeks of free puppy insurance, a bag of food or a gift voucher for puppy food and an information pack. I take pride in my breeding practices and bloodlines so please contact me for further information about these. I encourage you to browse my website and enjoy meeting my "family".